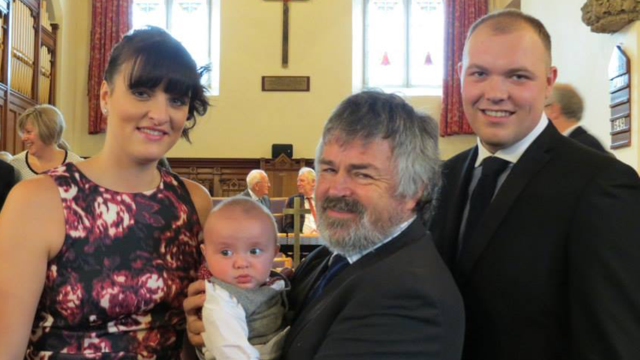 Families and friends came together on 2nd November 2014 for the baptism of Reuben Jack Priestley. It was a joyous occasion that filled the church to over-flowing. Reuben was given a Baptism gift-box, with cards and gifts, and we all shared in coffee and biscuits afterwards; everyone mingling and making a wonderful racket. The photo shows Reuben and his parents, Natalie and Johnny, with the minister Ian Lucraft.